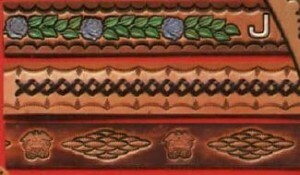 Belts are available in a wide range of styles and sizes. Belts are usually cut to fit and can be any size. 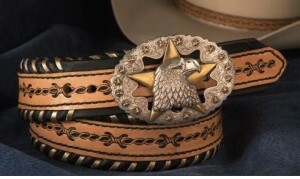 Premade belt blanks are available up to 40″ to 42″ and larger sizes are custom cut from double shoulder pieces of leather. 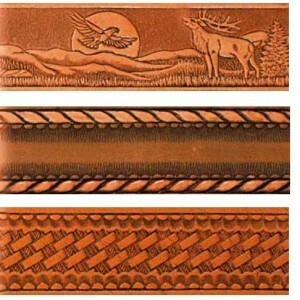 Belt widths may be 3/4″ to 2″ wide and there is a plethora of buckles available from simple to exotic. 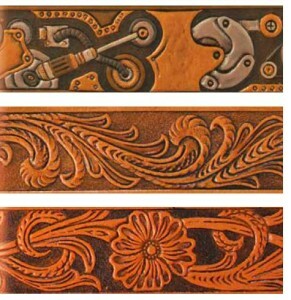 I can even make leather covered buckles that will match a belt. 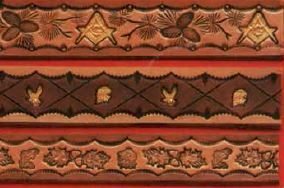 Below are just some ideas of the sorts of designs I can do on a belt. 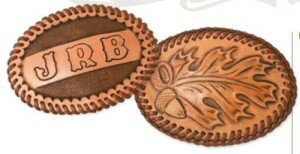 Prices begin at $25 for a plain belt and simple buckle.